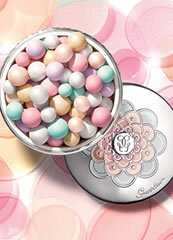 Guerlain L'Essentiel Natural Glow Foundation | Slapiton Beauty. 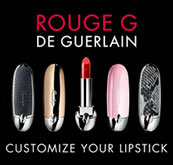 Guerlain L'Essentiel Natural Glow Foundation combines natural ingredients & make-up performance, a first time at Guerlain. Guerlain L'Essentiel Natural Glow Foundation is made with 97% naturally-derived ingredients with a glowing finish that lasts for up to 16 hours. With L'Essentiel, bare skin is more beautiful, day after day. 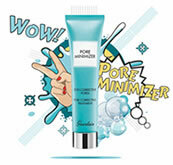 The formula lets the skin breathe; hydrates, balances and protects the skin from pollution. The complexion is more even; the appearance of imperfections is reduced. Bare skin is more beautiful: the complexion is more even, the appearance of pores is reduced (-49%), as is the appearance of pigmentary imperfections (-39%)*** in test results from Guerlain. The ingredients are simple and natural, to create a foundation that respects the skins' equilibrium, whilst delivering impeccable coverage. Beauty-boosting ingredients (including white cocoa bean extract as well as probiotic derivatives and prebiotics): maintain the skin's natural balance, strengthen the cutaneous barrier, and boost hydration. 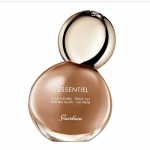 Guerlain L'Essentiel Natural Glow Foundation 00N is a very light and neutral toned foundation. Guerlain L'Essentiel Natural Glow Foundation is made with 97% naturally-derived ingredients with a glowing finish that lasts for up to 16 hours. Guerlain L'Essentiel Natural Glow Foundation 01N is a fair and neutral toned foundation. Guerlain L'Essentiel Natural Glow Foundation is made with 97% naturally-derived ingredients with a glowing finish that lasts for up to 16 hours. Guerlain L'Essentiel Natural Glow Foundation 01W is a fair and warm toned foundation. Guerlain L'Essentiel Natural Glow Foundation is made with 97% naturally-derived ingredients with a glowing finish that lasts for up to 16 hours. Guerlain L'Essentiel Natural Glow Foundation 02C is a light and cool toned foundation. Guerlain L'Essentiel Natural Glow Foundation is made with 97% naturally-derived ingredients with a glowing finish that lasts for up to 16 hours. Guerlain L'Essentiel Natural Glow Foundation 02N is a light and neutral toned foundation. Guerlain L'Essentiel Natural Glow Foundation is made with 97% naturally-derived ingredients with a glowing finish that lasts for up to 16 hours. 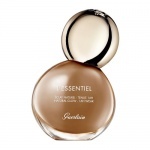 Guerlain L'Essentiel Natural Glow Foundation 035N is a mid beige and neutral toned foundation. Guerlain L'Essentiel Natural Glow Foundation is made with 97% naturally-derived ingredients with a glowing finish that lasts for up to 16 hours. 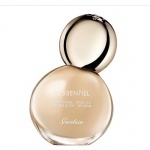 Guerlain L'Essentiel Natural Glow Foundation 03W is a mid and warm toned foundation. Guerlain L'Essentiel Natural Glow Foundation is made with 97% naturally-derived ingredients with a glowing finish that lasts for up to 16 hours. Guerlain L'Essentiel Natural Glow Foundation 045C is a mid amber cool toned foundation. Guerlain L'Essentiel Natural Glow Foundation is made with 97% naturally-derived ingredients with a glowing finish that lasts for up to 16 hours.